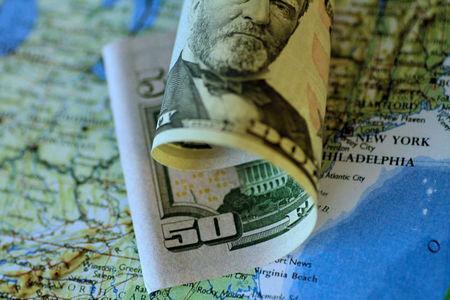 "There is a reluctance to buy dollars, while the bar for selling dollars has been relatively high because people have been burned before," said Steven Englander, global head of G10 FX research at Standard Chartered Bank in New York. The Conference Board said its gauge of American consumers' mood dipped to 124.1 in March, falling short of a 132.0 forecast by analysts polled by Reuters. The euro slipped on Tuesday, reversing some of Monday's gains tied to a stronger-than-forecast German business confidence survey. Meanwhile, sterling gained 0.11 percent at $1.3212 after two eurosceptic lawmakers indicated they could agree to support British Prime Minister Theresa May's deal to leave the European Union rather than risk the British parliament cancelling Brexit altogether.